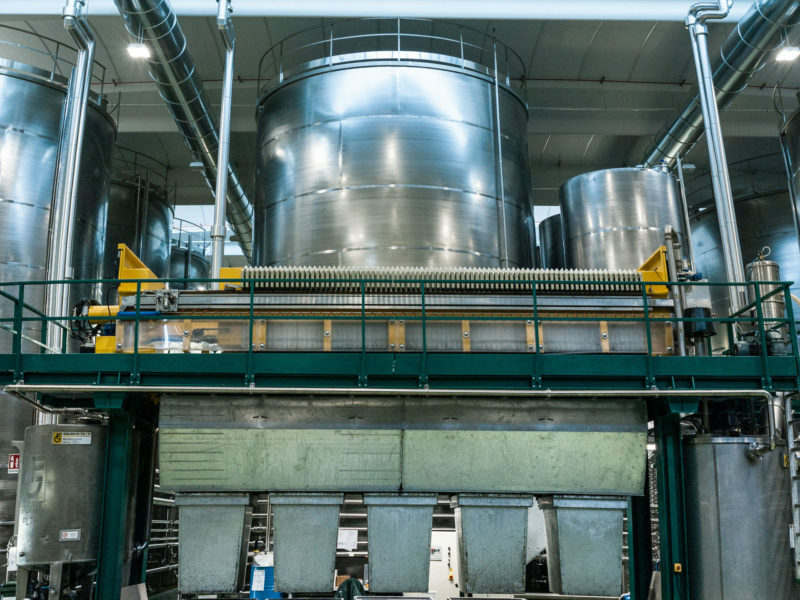 Fiorentini Firenze is one of the biggest storage centers for extra virgin olive oil in Italy with a capacity of almost 8 million liters at a temperature guaranteed by an air conditioning system (18-22 °C). The company’s storage capacity is equal to 7,164 tons which is necessary for processing activities, divided into 69 stainless steel silos of different capacities (from 16 to 500 tons). 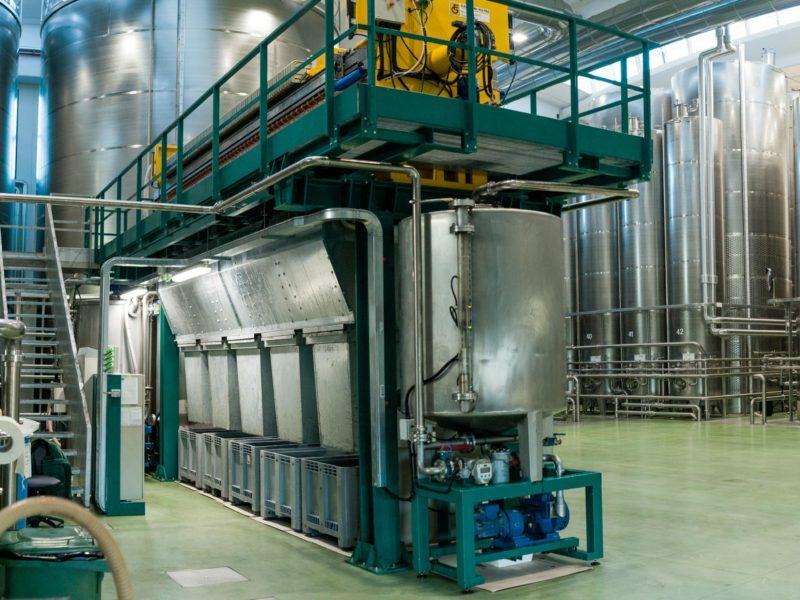 In order to ensure qualitatively distinct characteristics for each Extra Virgin oil, it is necessary to keep the various oils separate until they are bottled: other types of oil (rectified olive oils and olive oils) are stored in tanks in separate areas with totally different connecting pipes from those used for the tanks of Extra Virgin oils. The storage tanks have sensors that visualize the quantity of oil contained, the empty space available and the handling status. Any movement of oil from one tank to another is always recorded. Eight pumping units are available for moving the oil with the possibility of eight cistern loading/unloading points. The oil loading/unloading speed is 60 tons/h per pumping unit. 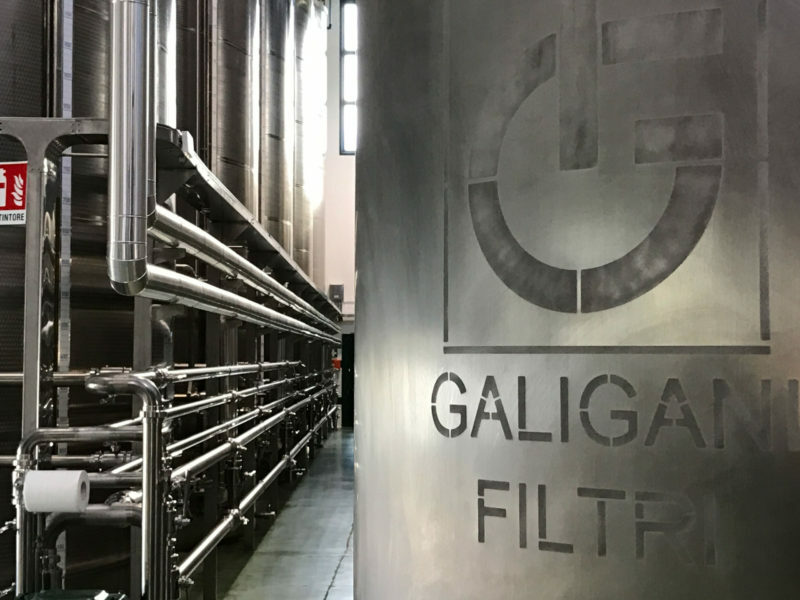 The storage plant is one of the first in Italy to be equipped for the new nitrogen Preservation technology and Cold Cycle Processing. 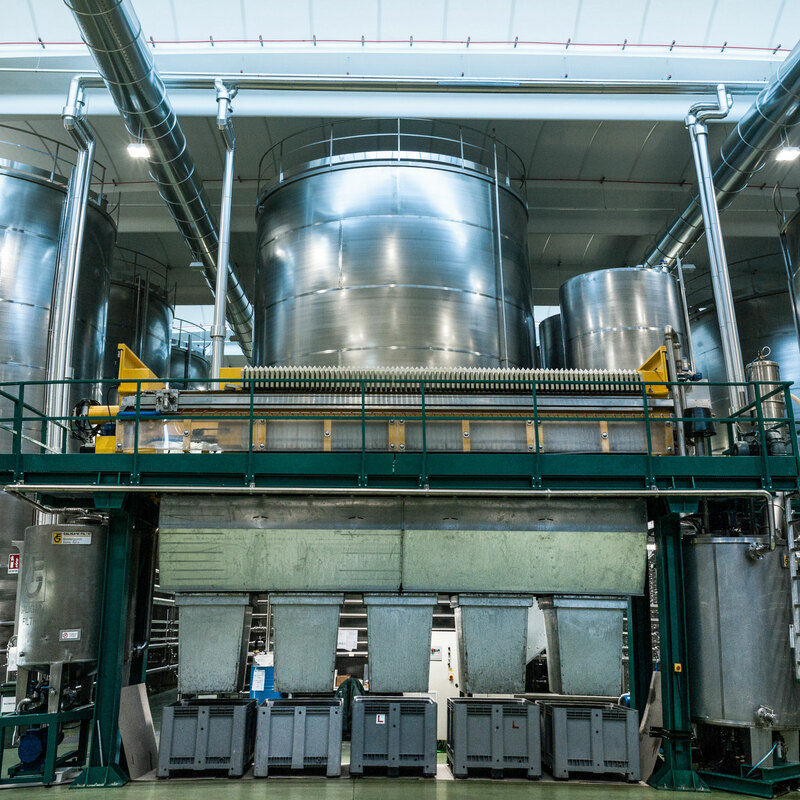 The silos containing the oil are filled with Nitrogen in order to prevent oxidization and keep temperatures low. The following percentages indicate the types of oil stored for processing. 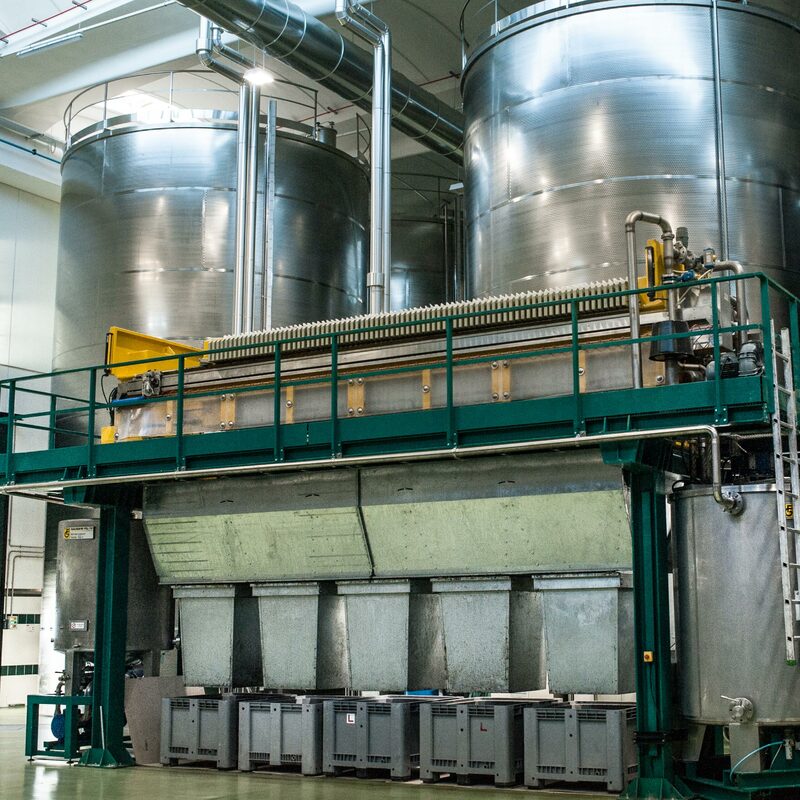 The identity of each extra virgin olive oil originates from the blending process used. This is the most important and delicate phase, certainly the one that requires the highest degree of sensitivity in terms of taste, professionalism and experience. The composition of the Blend makes it possible to obtain a product which is ready for the bottle and that has the chemical and organoleptic characteristics demanded by the client. Just like any other fruit, olives and their oils offer fragrances and qualities that differ greatly according to the variety of the plant, the degree of ripening of the fruit, the type of oil mill, the climate of the particular year and the storage conditions. 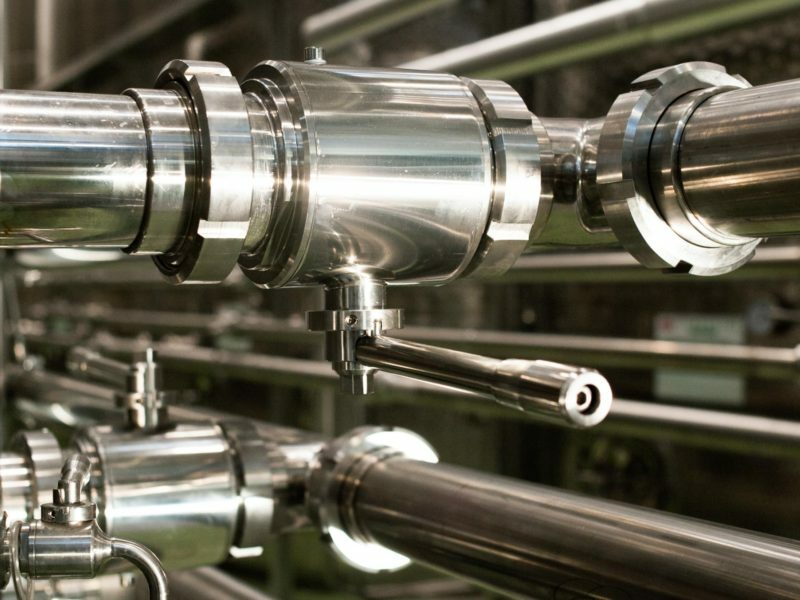 The blending operation is a practice used to express a multitude of sensorial peculiarities, as well as similarly varied chemical-physical profiles. 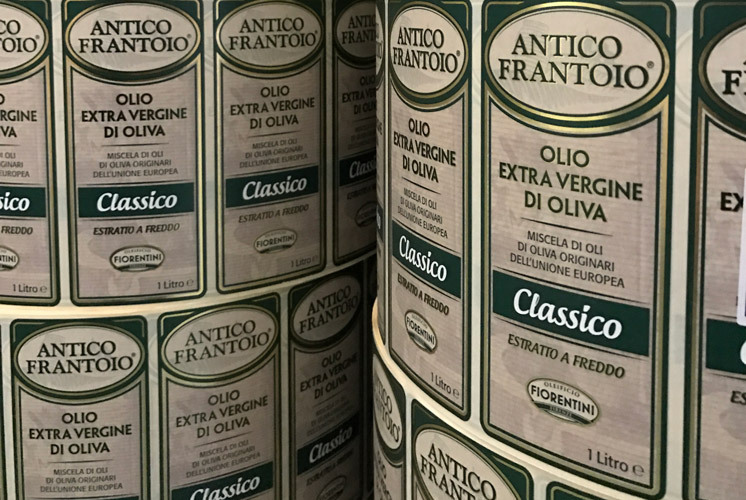 All the Extra Virgin oils are subjected to a Filtering process and, immediately before packaging, to Polishing; this serves to considerably improve their preservability without in any way compromising the characteristics of freshness and the nutritional qualities. During Filtering the oil is passed through filtering cloths which remove the impurities that give it a cloudy appearance. 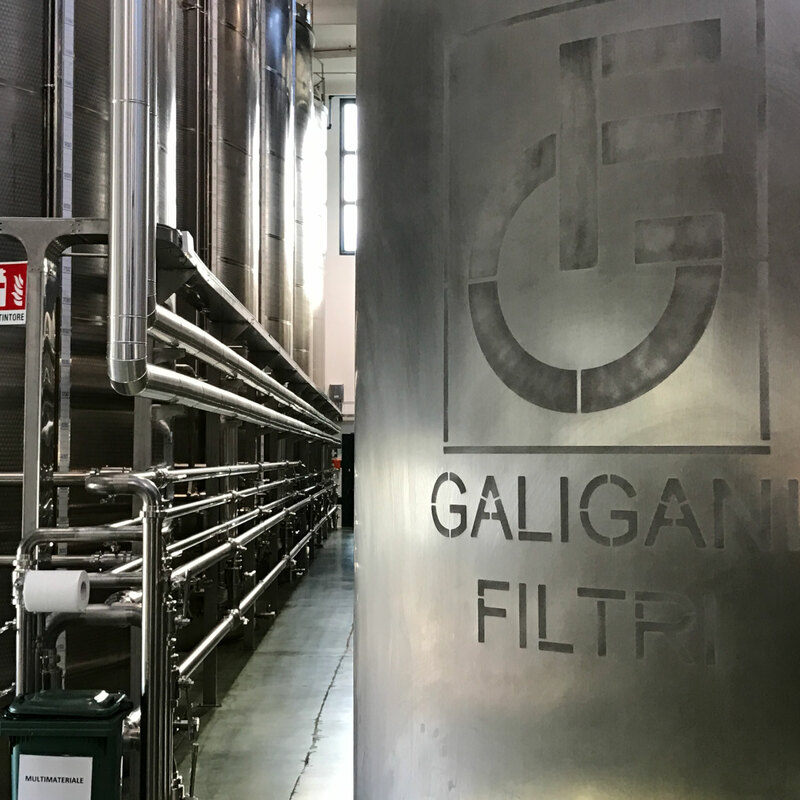 Polishing, straight after bottling, represents an additional precaution: a final passage through a cellulose filter (common absorbent paper of a few mm thickness). Exercised by the oil in the pipes of the filter, the polisher and those originating from the storage tanks. 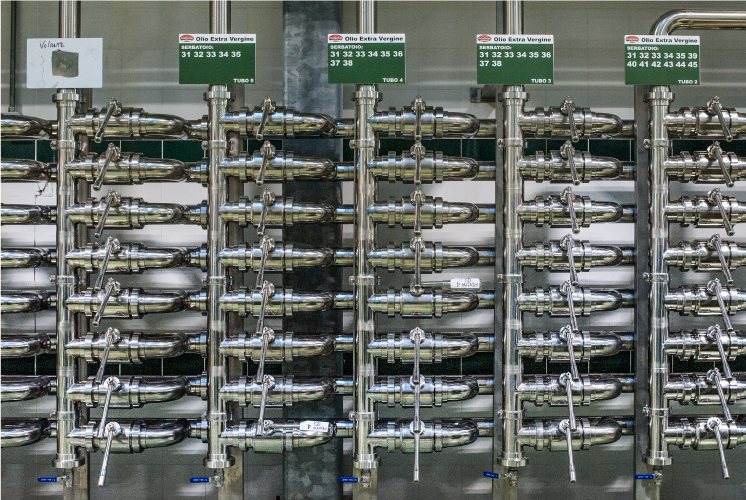 The bottling plant consists of five production lines with an average daily bottling capacity­ of around 200,000 bottles. The bottles used are new and kept in separate rooms, in suitable hygienic conditions. In any case, once they enter the packaging line they are subjected to additional precautionary hygiene and control measures. 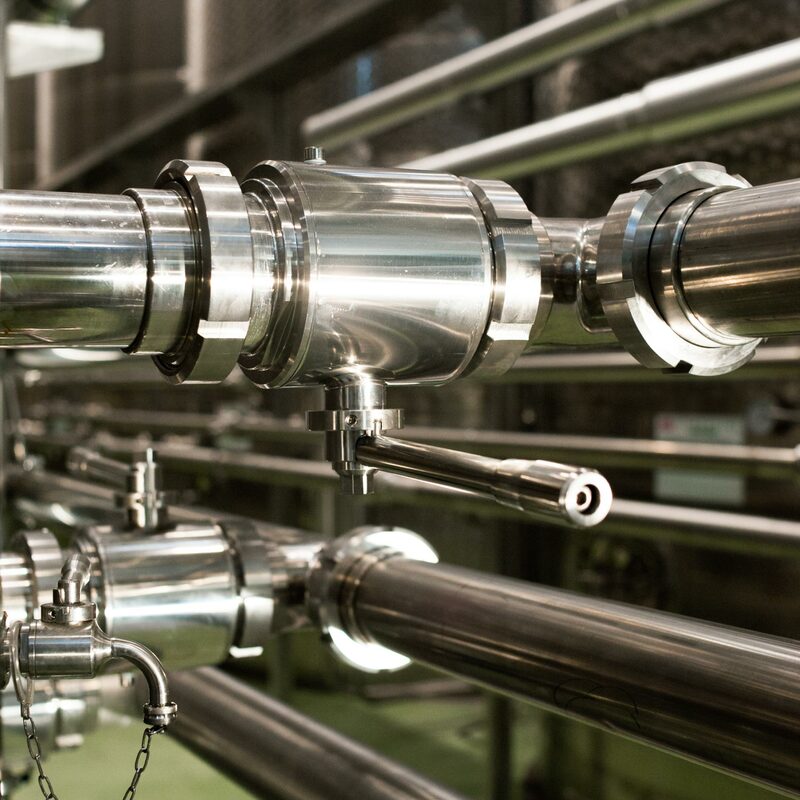 Compressed air is blown into the upturned bottles in order to guarantee the maximum hygiene. 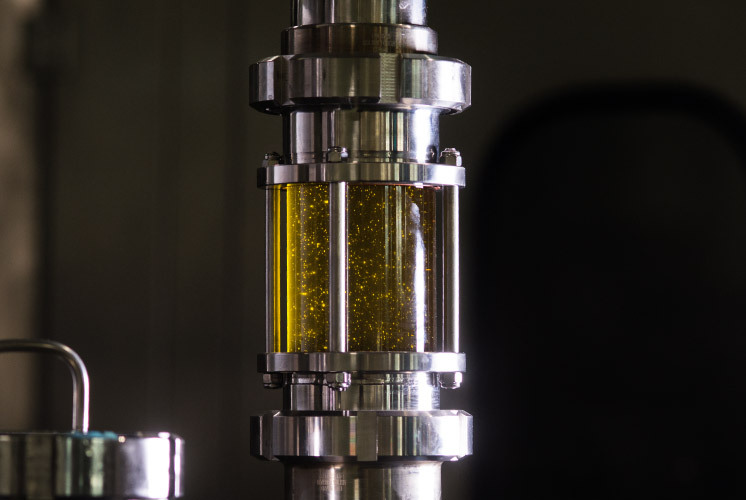 Each oil – Fruttato, Classico, Delicato, PDO, PGI, Olive oil and Olive-pomace oil – reaches the bottling machine through a specific pipeline in order to guarantee the identity of each product, bottle by bottle. 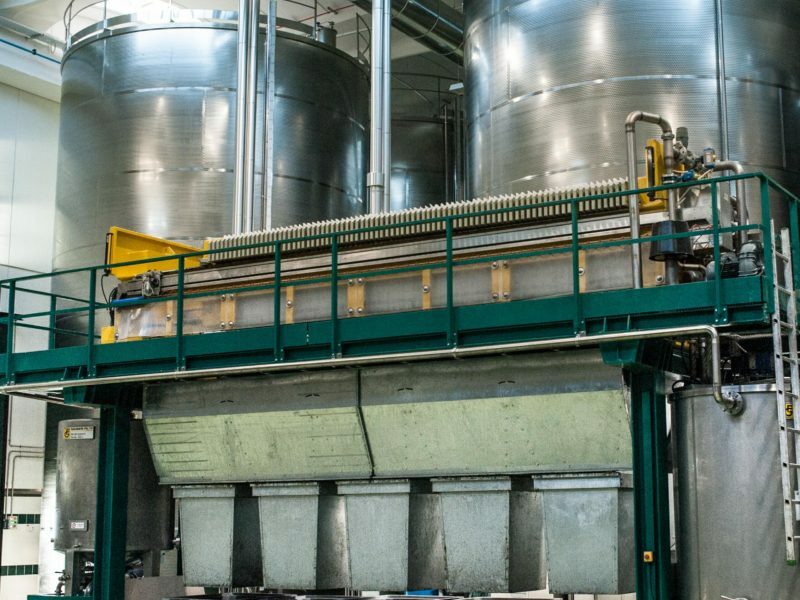 Filling is carried out using bottling machines with a weighing system that guarantees the net weight of the contents of each bottle which is preset using a computer connected to the plant. Once the bottles have been filled they are capped. 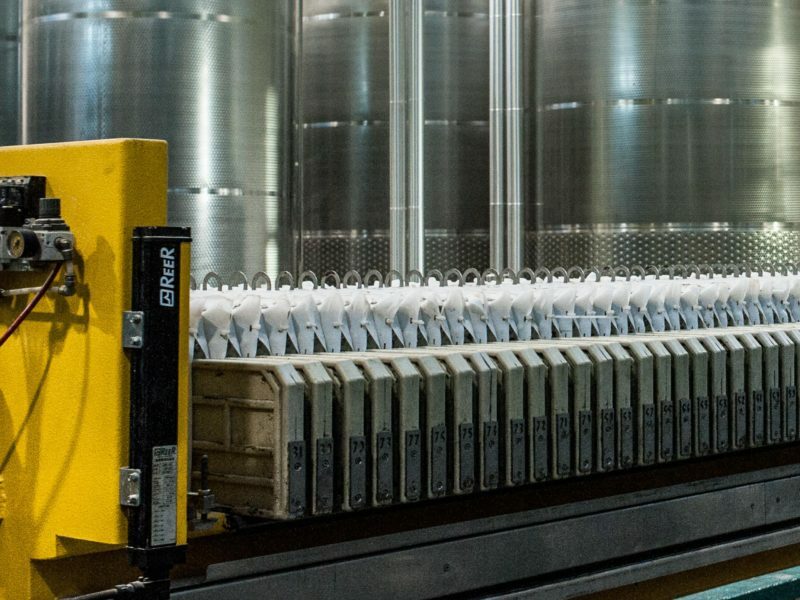 A system of photocells controls the correct positioning of the cap on each bottle, subsequently the bottles move along on conveyor belts towards the labeling machine where the label is applied to the product. 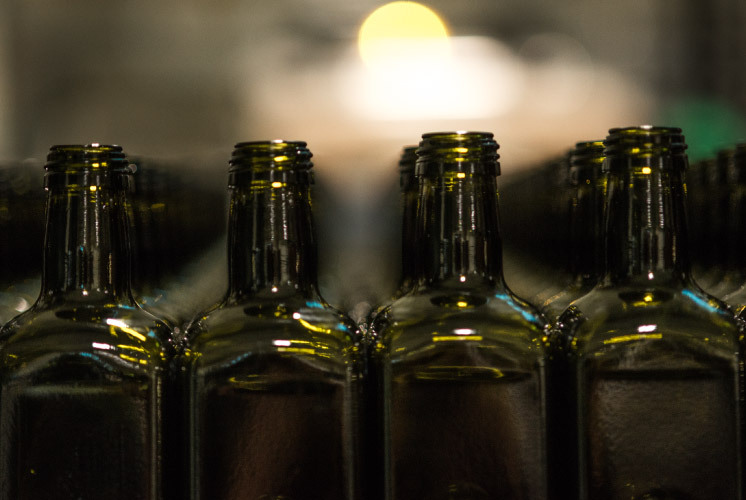 During and after each bottling phase the control processes begin on the bottles – quantity of oil in each single bottle, traceability, weight, chemical/organoleptic analysis, production batch. All our bottles are packed in cardboard boxes (display trays or wrap arounds) in order to guarantee the adequate protection of the product during transport and during storage and handling in the sales outlet warehouses. Moreover the completely closed carton guarantees greater protection for the oil from exposure to natural and artificial light sources. 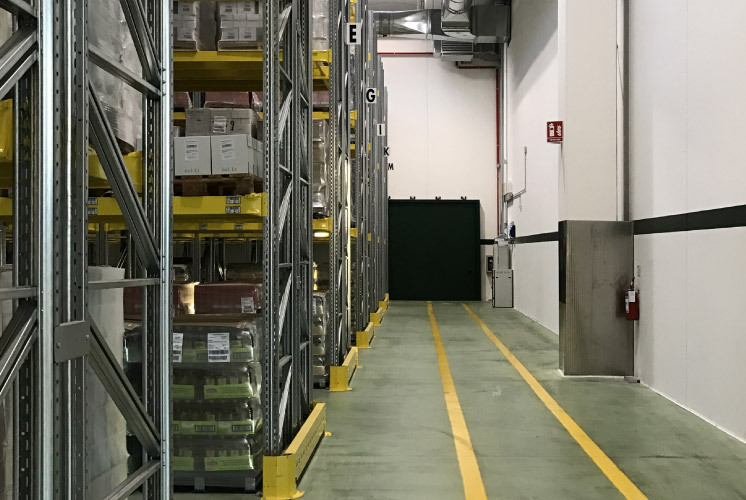 An important characteristic of the new Fiorentini Firenze plant is that the warehouses, all completely covered, include different areas for different materials. 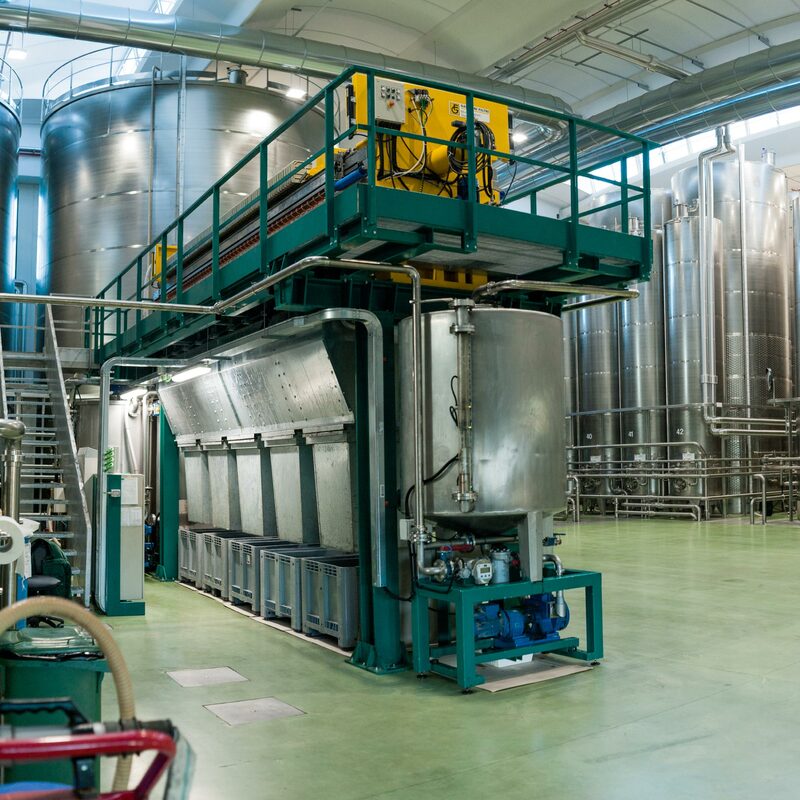 There is the label storage area, the packaging and carton storage area, the bottle storage area – making it possible to proceed with the bottling and packaging of the oil with extreme rapidity and precision. Empty containers are stored in this area of the warehouses, including glass bottles, bottles in PVC and cans. This area of the warehouses, which is fully air conditioned (18-22 °C), contains the various product labels. This area of the warehouses, which is fully air conditioned (18-22 °C), contains the packaging in various sizes used for wrapping the products. This area of the warehouse, which has a controlled temperature (18-22 °C), contains the finished products on pallets ready for shipping. 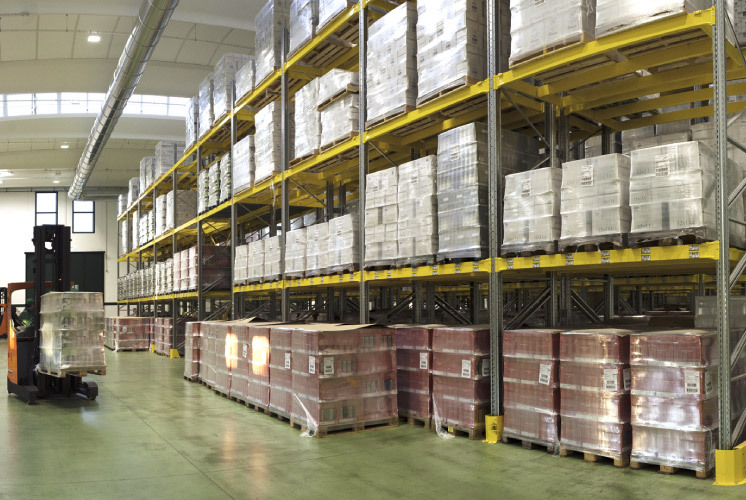 The loading and storing in the warehouse of each pallet is controlled by a software system in order to ensure that the handling complies with the shelf life of the product. 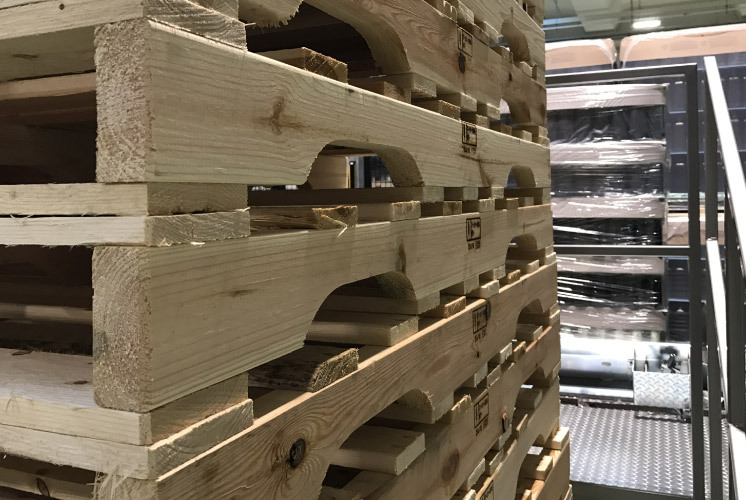 The finished product is assembled on pallets of various sizes and shapes in order to meet the different requirements of each individual distribution warehouse. 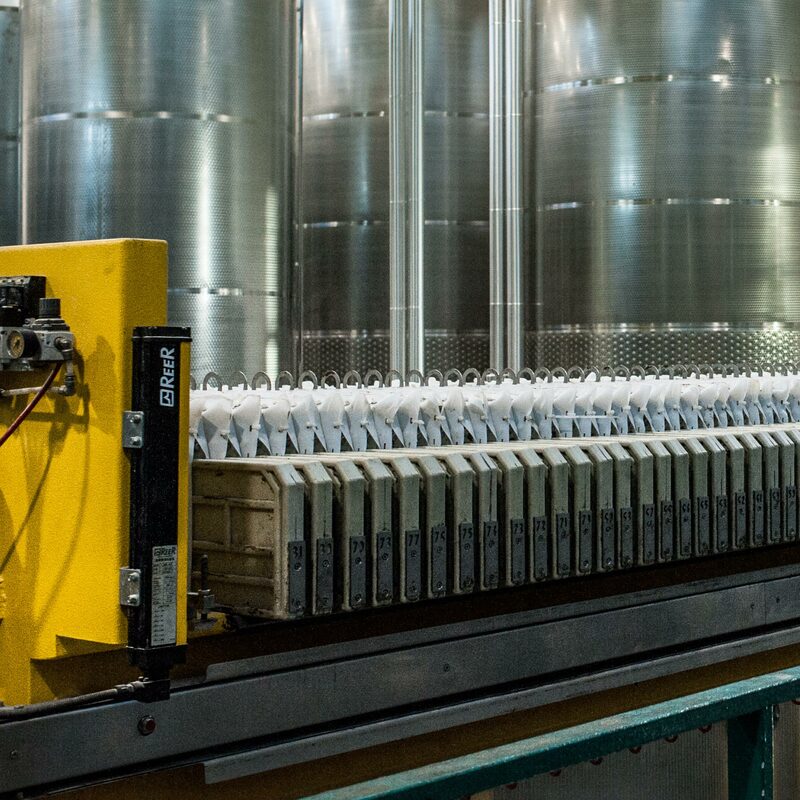 Our bottles are thus correctly packaged and ready to be transported to distribution centers all over the world. Every pallet is taken over by shuttles and placed his pallet place. Six container loading/unloading points, four of which have covered loading bays where the pallets of finished product are positioned inside the containers. With this method the finished product never goes outside the production areas.